Anyone who clicks around on the National Public Radio website is often bombarded with ads for MSNBC. Naturally, if you love one hard-left network, you’ll love the other. But the promotion isn’t just in advertisements. Yes, conservatives: You’re being forced to underwrite with your tax dollars what you’re about to read. And you’re not going to like it. The way those NPR folks see it, the national media underplay and overlook the truths that leftists want exposed. It’s not the liberal media. It’s somehow the moderate-Republican media that fail to hold the government accountable to left-wing concerns. That Gross can really pick ’em when it comes to civil nonpartisan discourse. Gross returned again and again to the impressiveness of Maddow. 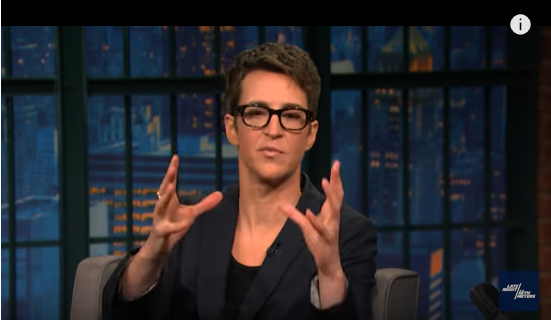 She cited, for example, Maddow blaming an American anti-gay spokesman for an execute-the-homosexuals bill in Uganda. After playing a long clip from Maddow on MSNBC, Gross proclaimed she had witnessed broadcast excellence. Fake authority? Gross might have been talking about herself. This allowed Maddow to joke humbly, “Essentially, the process of working on my show is grinding your bones to dust each day an inch at a time.” Genius is such hard work. Conservatives, I told you that you wouldn’t like reading this. All of this was taxpayer-funded. L. Brent Bozell III is the president of the Media Research Center.